If you’re returning home after a natural disaster like Hurricane Micheal, we don’t need to tell you that there are a lot of important decisions to be made. There are also many dangerous conditions that need to be dealt with for you and your families safety. We think you’ll find this article extremely helpful. 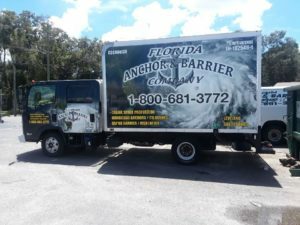 We would also like to remind you that Florida Anchor and Barrier is here to answer any questions you may have. We can also help you to repair and rebuild your mobile home in Florida. Continue to monitor your radio or television for up-to-date emergency information. You may not be able to return to your home immediately after the storm ends. It could take a few days before emergency crews have assessed all areas for safety hazards or any necessary rescue operations. Do not attempt to re-enter your neighborhood until authorities have declared the area safe. It may also take a couple of weeks before power and telephone service can be restored to all neighborhoods. Limit driving to what is necessary. There will be downed electrical wires and debris covering the roads. Avoid high water. Remember, most deaths attributed to a hurricane are from drowning while in a vehicle driven into high or fast flowing waters. Limit the use of your telephone and avoid tying up telephone lines that may be needed by emergency responders. Take one day at a time. This type of experience creates a great amount of stress. Go easy on yourself and those around you. Try to get back into family routines such as meal and bed times. Eat a healthy, balanced diet. If you have children, listen to their feelings about losing favorite toys or possessions. It is important to give yourself and your children permission to be sad about what you have lost. Reach out and help a neighbor. Most visits to hospital emergency rooms following a hurricane are because of injuries which occurred after the storm. Sprains and strains are common, as are cuts and punctures, broken bones, and motor vehicle accidents. Be patient, take it easy, and be careful. You can make your recovery from the storm a safer one if you follow the advice below. Return to your home during daylight hours. Before entering, check for any structural hazards that might make it unsafe to go in the house. Enter your home with caution. If you can go inside, open all the doors and windows to increase ventilation. Fire is another cause of death following a storm, often caused by the use of candles. It is much better to use battery operated flashlights and lanterns instead of candles. Electrical power should be shut off until it is determined that there is no risk of fire, explosion, or electrocution. If you smell something burning when the electricity is turned on but can find no visible source of fire or smoke, immediately turn off the electricity at the main breaker. All appliances and other equipment and lighting must be completely dry before using them. Even if you are able to turn on the power, do not plug in any item which is not completely dry. Use generators or gas pumps in well ventilated areas. They can generate deadly carbon monoxide gas. Do not plug generators into house outlets; plug appliances directly into the generator. You should contact the utility company before connecting an electric generator to your home’s electrical system. This is almost always against the law and prohibited by fire code unless you have approved automatic interrupt devices. Make sure smoke and carbon monoxide detectors are working. If using a generator, be extra aware of your carbon monoxide detector. Take photos of damages for insurance purposes. If you boarded your windows and doors before you left home, be careful of nails and broken glass when you remove the boards. Avoid wading in water since there may be broken glass, nails, or other objects in the water along with chemicals and sewage. If you get a cut or puncture would, contact a doctor, a public health department, or hospital to determine if you need a tetanus vaccination. If you smell gas or suspect a leak, turn off the main valve, open all windows, and get out of the house immediately. Do not turn on the electricity, light matches, smoke, or do anything that could cause a spark. Immediately notify the gas company as well as your local fire and police departments. Do not return to the house until you are told it is safe to do so. If you see frayed wiring or sparks when you restore power, or if there is an odor of something burning but no visible fire, you should immediately shut off the electrical system at the main circuit breaker. You should follow the instruction provided by your utility company or emergency preparedness agency about using electrical equipment, including power generators. Be aware that it is against the law and a violation of electrical codes to connect generators to your home’s electrical circuits without the approved, automatic-interrupt devices. If a generator is on line when electrical service is restored, it can become a major fire hazard. In addition, the improper connection of a generator to your home’s electrical circuits may endanger line workers helping to restore power in your area. Make sure all electrical equipment and appliances are completely dry before returning them to service. It is advisable to have a certified electrician check these items if there is any question. Walls, wood, vinyl or ceramic floors, counter tops, cabinets, pantry shelves, refrigerators (inside & out) plus many other surfaces should be cleaned with soap and water and disinfected with a bleach diluted with water at a rate of one cup of bleach to five gallons of water. Wash all linens in hot water. Wash all clothing or take it to the dry cleaners. Take mattresses and upholstered furniture outdoors to air dry in the sun, then spray them with a disinfectant. Wear rubber gloves when cleaning. If there has been a back up from the sewer, wear rubber boots. Make repairs, even if temporary ones, to limit further damage. Remember to lift with your legs, not your back. Stay away from dangling power lines and metal fences. Be careful when clearing fallen trees as they may have wires tangled in them. Avoid wading in water. Broken glass, metal fragments, and other debris may be present in the water. Wear safety glasses, gloves, long sleeve shirts, pants, and sturdy shoes. Use caution if you will be using a chainsaw. Read the operating and safety instructions. When using an electric chainsaw, use extreme caution to avoid electrical shock. Be aware of snakes or other animals that are driven to drier ground by any flooding. Don’t burn trash. Contact your trash pick up service and find out their schedule for pick up. Call a professional service to remove large uprooted trees. Once again, remember to lift with your legs, not your back. The large amount of rain and flooding that typically occurs with a hurricane may cause some problems with septic systems. The problems you might experience include slow draining toilets and sinks or wastewater bubbling up from the ground. Limit the use of water. Do laundry at the laundromat. Don’t flush the toilet every time it’s used. Don’t park on or drive over the septic tank or field area. Limit walking or playing in that area. If water is bubbling up from the ground, don’t let children play in that area. If sewage is backing up into the house, use gloves and wear rubber boots and clean with a disinfectant such as diluted bleach. Florida Anchor & Barrier has offices throughout North / central and southern Florida.